improvisation-he urges planners to adapt the guidelines to meet local needs. Excerpts from recently adopted general plans illustrate Anderson's points and provide examples of variations even within his recommendations. A related glossary gives comprehensive definitions to words that, though not technical, have meanings specific to the urban plan. Anderson's clear and readable style makes this book a must, not only for the professional, but for the student bewildered by the complexities of forming urban plans. 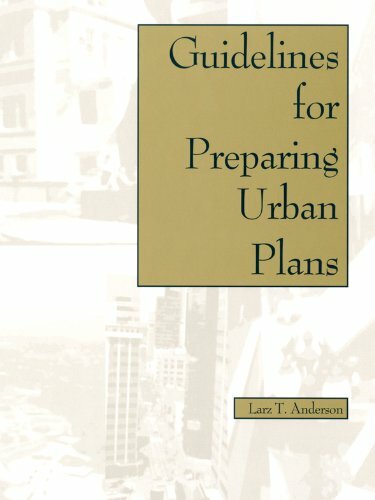 Guidelines for Preparing Urban Plans is a valuable textbook for undergraduate, graduate, and professional courses in planning theory and planning administration, as well as workshop-style studio courses.